NEW, updated design allows for more applications! 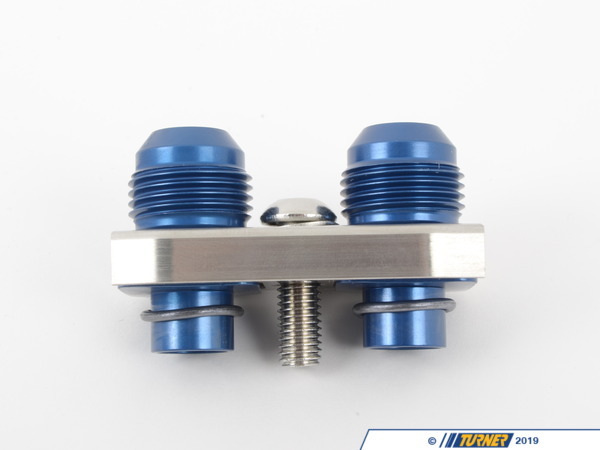 The TMS Oil Cooler Fitting kit allows much more flexibility in the routing of oil cooler lines. Standard oil coolers utilize �hard lines� which can cause fitment issues for cars with superchargers, Accusumps, or other aftermarket performance parts. 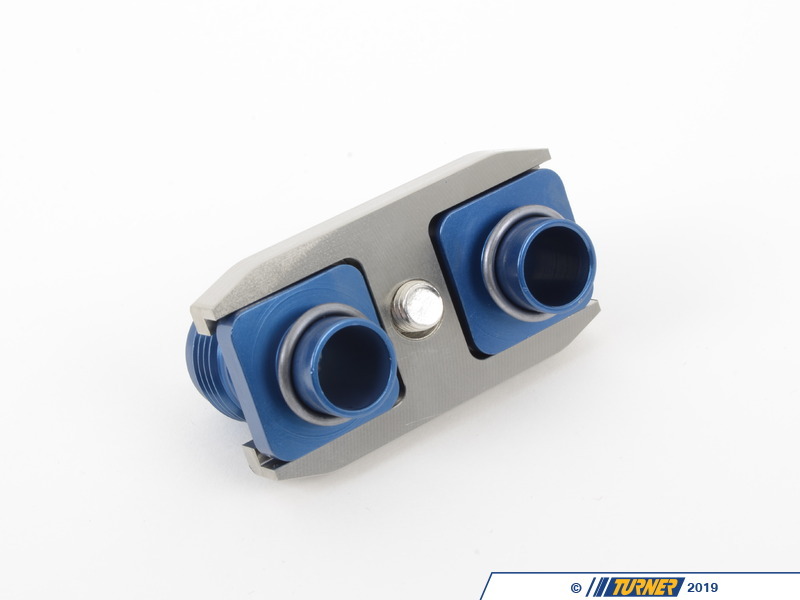 Our kit replaces the oil cooler hard lines with two TMS engineered -10 AN fittings, mounting bracket, and O-rings. Flexible braided hoses can then be run to the oil cooler which eliminates routing issues from supercharges, intakes, and other components. 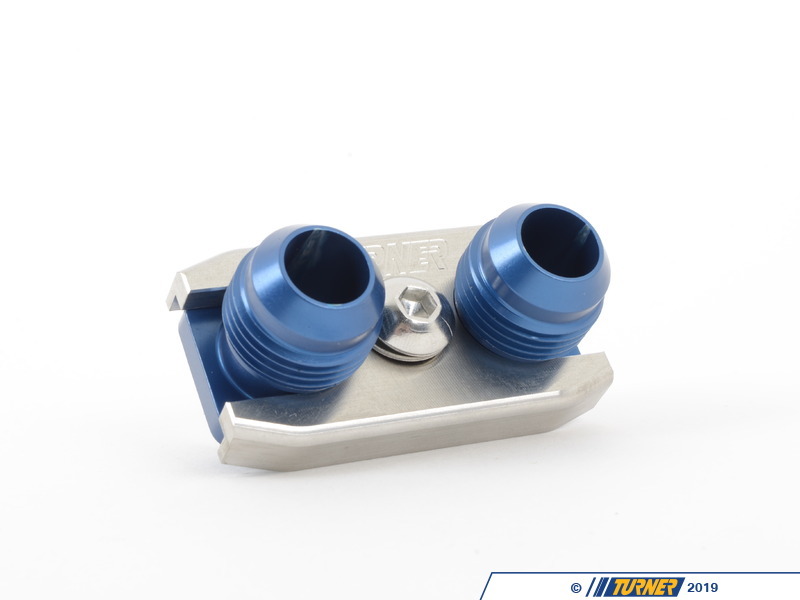 The brackets are CNC machined stainless steel and the -10 AN fittings are lightweight aluminum. 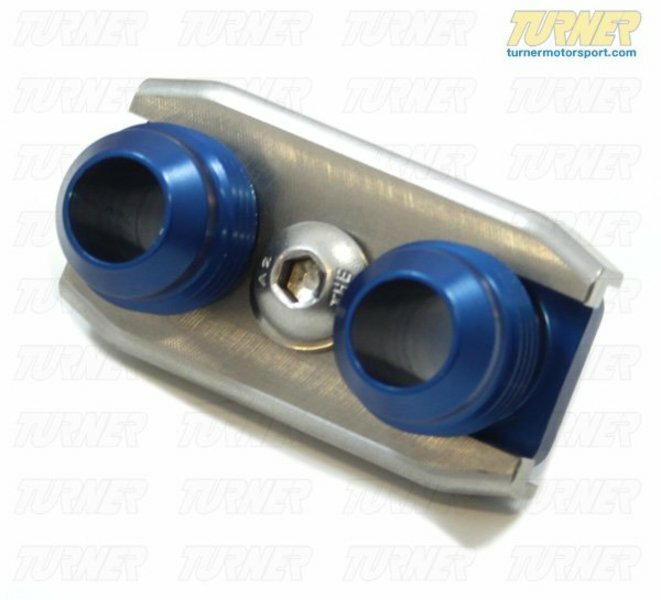 NEW REVISED Kit fits E36 Euro oil filter housing, E36 Euro oil cooler, E46 M3 stock oil filter housing, E46 M3 stock oil cooler, and works great with aftermarket oil coolers. NEW, updated design allows for more applications! 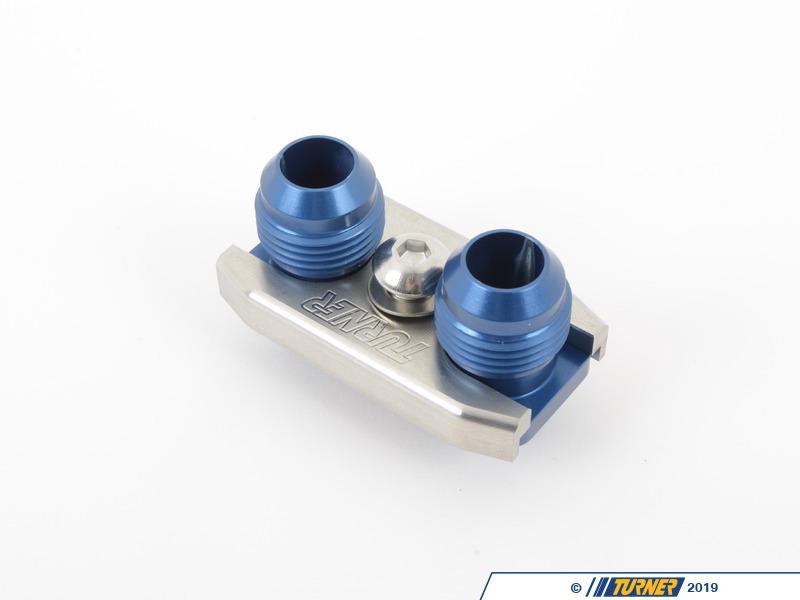 The TMS Oil Cooler Fitting kit allows much more flexibility in the routing of oil cooler lines. Standard oil coolers utilize hard lines which can cause fitment issues for cars with superchargers, Accusumps, or other aftermarket performance parts. 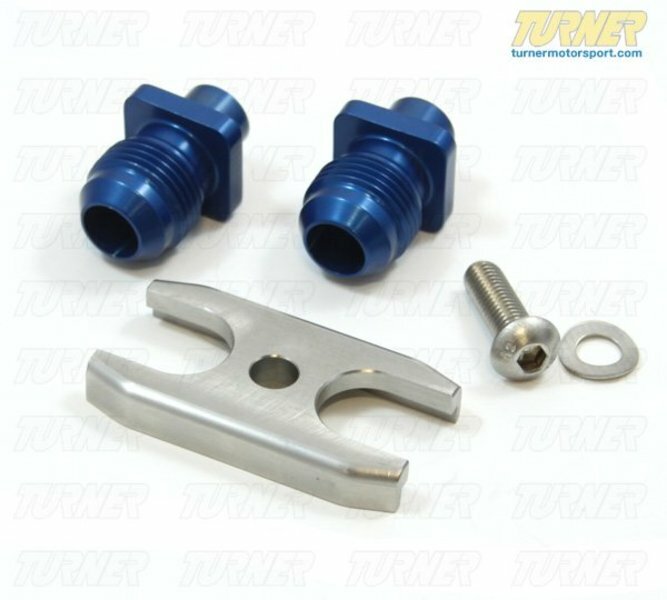 Our kit replaces the oil cooler hard lines with two TMS engineered -10 AN fittings, mounting bracket, and O-rings. Flexible braided hoses can then be run to the oil cooler which eliminates routing issues from supercharges, intakes, and other components. 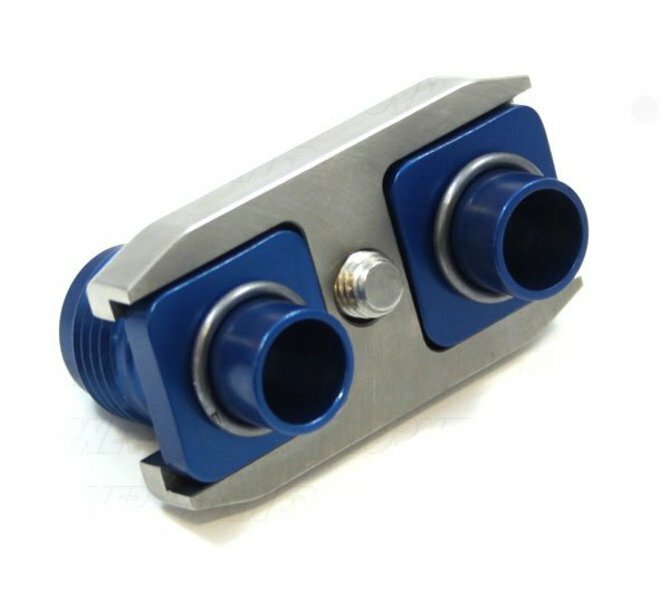 The brackets are CNC machined stainless steel and the -10 AN fittings are lightweight aluminum. NEW REVISED Kit fits E36 Euro oil filter housing, E36 Euro oil cooler, E46 M3 stock oil filter housing, E46 M3 stock oil cooler , and works great with aftermarket oil coolers.